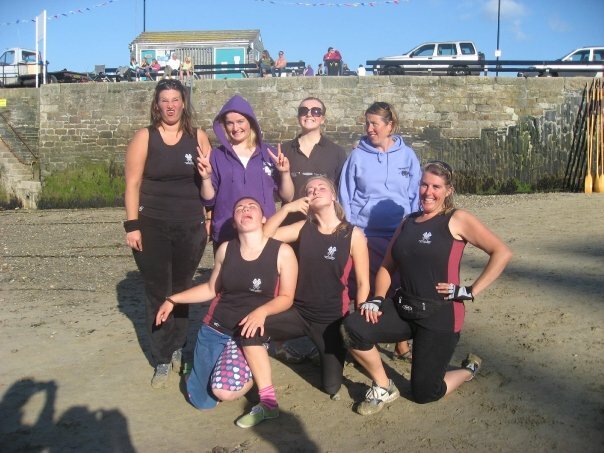 Three crews from FMPGC entered this year’s Cornwall County Championships at Newquay over the weekend of the 12th and 13th of September; in an event which tested them in a variety of racing conditions. Despite wall-to-wall sunshine throughout, the wind and sea conditions varied enormously between heats and our Ladies B also had to contend with being selected into a very tough group for their first round. Ladies A, with a recent change in crew, was our first team out, in the second heat of Round One. They were drawn against 3 other A teams but secured their place in the second round by finishing in a strong second place; only Salcombe A beating them to the line. 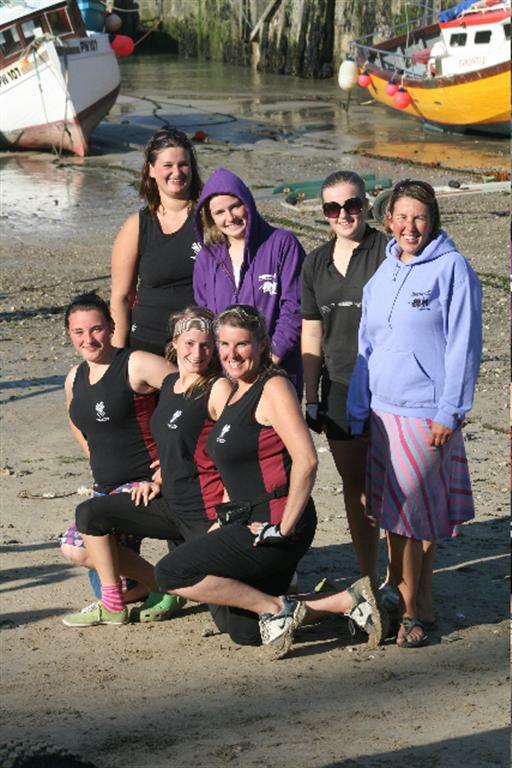 Ladies C, again only together as a crew for a few weeks, went into Race 4 knowing Helford A were going to be the team to keep up with. After an excellent start they never fell further than a few lengths behind them. Their main battle, however, proved to be against Rock B who kept on their tail for the entire race, with our crew just holding them off at each mark. In a very tense last leg, the team dug in and finished second, just 4 seconds ahead of Rock; again securing a place through to the next round. Ladies B had a longer wait until their first race, by which time the sea state had changed quite dramatically, with waves building and slowing the times of everyone around the course. Setting off in Race 10, against 4 A teams including Mounts Bay (who eventually finished the weekend in 4th), the girls did fantastically well to keep up well with the fleet, coming in 4th and beating Looe B and Appledore A. Only the top two boats in each race, plus the 16 other fastest boats went through to the next round. With the much slower times of later heats, this meant Ladies B were knocked out at this stage, but Ladies A and C went through to race once more in the afternoon. Ladies A was off first in Race 1 of the second heats. Pushing away from the start in 3rd, the conditions were much tougher than in their morning race, but they fought their way around and maintained their position to finish 3rd, in a time of 20: 27, behind Tresco Bryher and Salcombe A who finished with only 2 seconds between them. 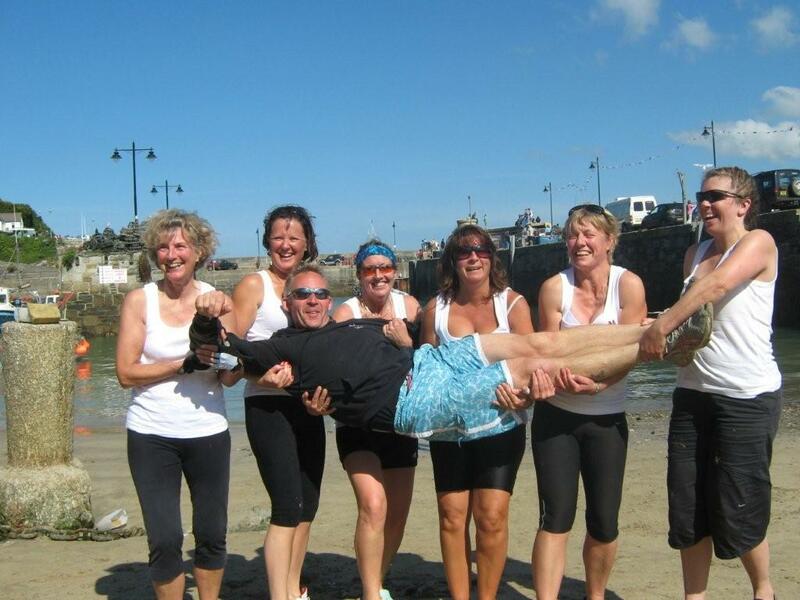 Ladies C were asked to row Pinnacle in Race 4 but despite having a familiar boat, were now in a heat with teams such as Roseland and Caradon A who would go on to come 2nd and 3rd in the weekend finals. Yet again, the conditions made for fun rowing, against the waves to the first mark, and catching the surf on the way home. They eventually finished in a time of 20:32; 6th out of 7 boats. Despite not having any teams progress through to the final rounds on the Sunday, all 3 FMPGC teams felt they had raced well. Ladies A finished the weekend 34th overall, Ladies C were 35th and Ladies B were 62nd (out of a total of 93 teams). 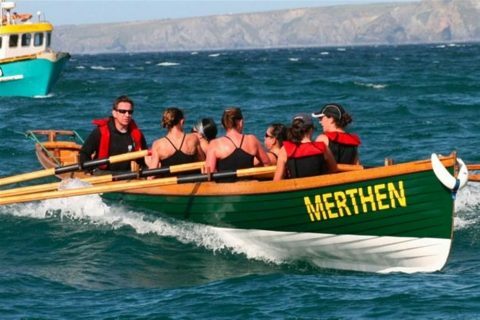 A great weekend of gig racing. Thanks to everyone who came up to support us on the Saturday. Bring on the Men’s Weekend in a fortnight’s time!